It’s becoming as consistent as corruption in FIFA, and as unsurprising as a Drake music video becoming a worldwide meme. 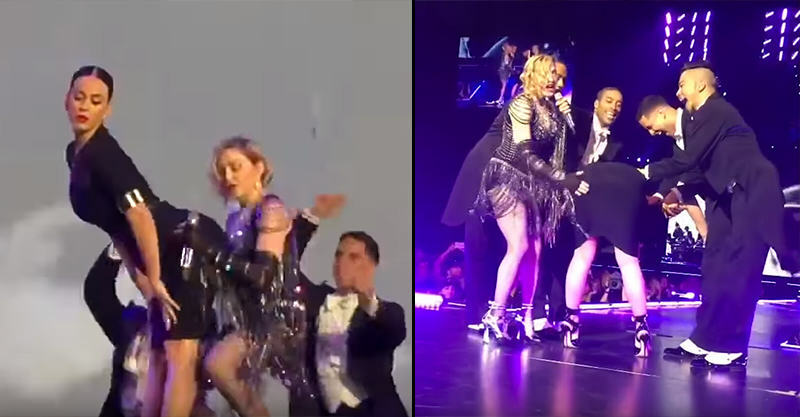 Yep, I’m talking about Madonna’s provocative stage antics. The now 57-year-old is still at it, and her latest on-stage love interest is Katy Perry, who this weekend turned 31-years-young. Madonna brought Katy Perry out at her Rebel Heart tour concert in Los Angeles last night, proceeded to bend her over, spanked her, scolded her, then handed her a banana. As you do. Anyway, the internet had a field day with it, and as you’d expect, so did YouTube. There are already a f*ckton of videos of the moment, because watching a concert through your phone screen and not your eyeballs is actually a law nowadays.